Forum Novelties 2 pack of salon quality Cosmetic Sponges. 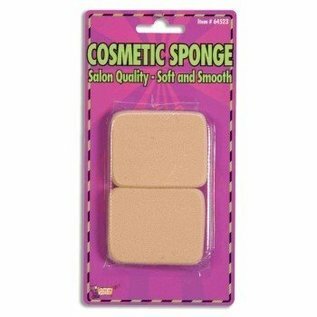 Soft and smooth sponges are made from 100% Non-latex Polyurethane. Use to apply cake makeup, foundation, cream makeup, etc. Contains 2 sponges. Sponges measure 2 1/4" x 1 1/4" around and 1/4" thick.